You thought 2018 was going to be a tough year to beat. England made a World Cup semi-final for the first time in 28 years, and we enjoyed one of the hottest summers on record. 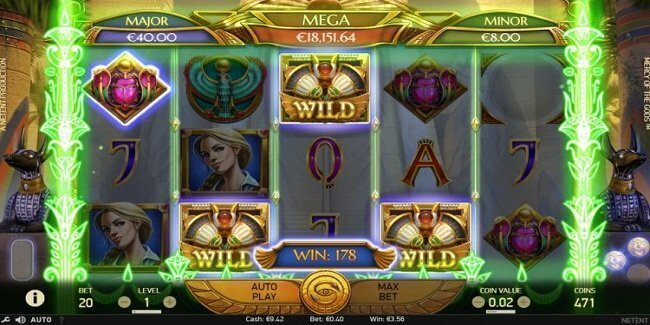 But if you’re a fan of online slot games, 2018 will be nothing in comparison to the year ahead. Expect more fun, more thrill and (fingers crossed) more wins, because 2019 is going to be a year packed full of new slot game releases at the online casino Vegas Luck. Hot on our radar are two new fantasy slots: Divine Fortunes and Mercy of the Gods. The former will take you inside a magical Indonesian rainforest, where you’ll discover bonus feature like Sacred Re-Spins and Mystical Multipliers. The latter will let you try your luck with the divine rulers of ancient Egypt, for the chance to win a huge Gift of Wealth Jackpot. Another slot we’re expecting big things from is Strolling Staxx. Just like NetEnt’s popular Butterfly Staxx, this quirky fruit machine will feature symbols that can stack up on the reels to help you win big. You can check a list of new slots we’d recommend looking out for on this page now. All will be available to play very soon at Vegas Luck. Sign up now if you want to be amongst the first lucky players to try them out.